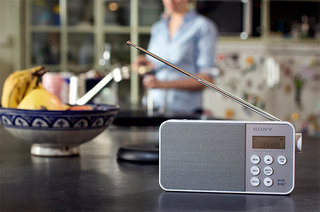 Ofcom has approved the addition of a new British-Asian station on the UK's Sound Digital DAB multiplex. The regulator confirmed that during the past month, it had approved a multiplex variation to facilitate the addition of a nationwide version of London's Lyca Radio to the Sound Digital station line-up. Lyca Radio UK will be a music-led service with a particular emphasis on British Asian Urban artists within a music mix that also appeals to young and older British Asian listeners. The station’s daytime output will include a mix of music, chat and phone-ins relevant to a wide range of listeners. Further details are unknown at this stage, apart from a launch being planned in the next three months. The Sound Digital (Digital 2) multiplex reaches around 75% of the UK. Later this month, BFBS UK will return to DAB digital radio via the multiplex. A new station from Jack FM is also being planned. Both stations will use the newer DAB+ standard.